One of the most important questions publishers are grappling with today is whether they oversee a media company or a technology company. In the following article, which appeared originally in my Media Success newsletter and was subsequently republished at AllThingsD, I explain why every media company has to be a technology company. Then I offer several keys to success in the current digital environment, which is dominated by the rise and evolution of the new social Web. Please take a read, and let me know what you think. Let’s start with two truths. First, publishers need cutting-edge technology to hook an audience through today’s digital media channels of the Web, mobile, social, and search. And, second, the breakthrough technology can’t just be about product design – it’s got to go beyond to create distribution advantages on the new connected Web. I love getting asked this question. And every digital media leader I know hates answering it. The uneasiness begins with the mistaken idea that the two are separable. And they were – back in the 15th century, when Gutenberg first worked his printing magic, and up until a few years ago. But we all know digital technology has inserted itself inextricably into the guts of publishing, replacing ink with bytes and paper with pipes. And now, over the last two years, technology has transformed the basis of publishers’ relationships with their audience, by connecting them through social operating systems, as we discussed last month. And yet, our uneasiness escalates to anxiety when we realize we still don’t fully understand the new technology’s potential or impact on our business. I think we all need to collectively swallow our fear. We know every media company must be a technology company today. In the first generations of digital media, it was easy. In AOL’s past, technology’s key role was simply to provide basic Internet access over dial-up lines. 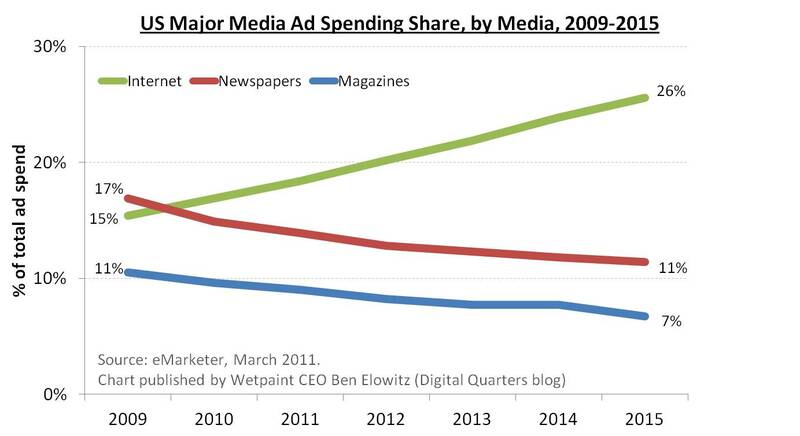 Today, while that access provides cash flow, it no longer has any strategic value in media. Similarly, Yahoo’s early technology prowess was applied to create significant products like Yahoo Mail. But while Mail still drives 73 percent of the audience to Yahoo’s media properties, it won’t secure Yahoo’s future ability to be a great media destination. These two companies – as well as the rest of us – need to use technology for something more advanced than access and ancillary products. We need to put it right into the heart of media so that we can create breakthrough user experiences and new connections with audiences. To do that, let’s start by recognizing what’s changed about the medium itself: In analog days, publishers’ products were two-dimensional; and all we had to work with was ink and some paper. And similarly, distribution was mostly two-dimensional; a subscription list and newsstand sales was all there was to it. But now, consumers have access to millions of sources at their fingertips, and each one can be rich and interactive, reaching us through several different digital channels. Both our product experiences and our distribution can be much more intricate – and much more valuable. And combining the two gives media the chance to do something it’s always aspired to do before, but never been able to. We have recently become ready for a whole new vision for media. And that’s giving every audience member the right content in the right place at the right time. To do this takes a combination of data – from the social operating system – coupled with media’s greatest power, that of creating experiences and distributing them. To achieve this, though, we need technology to do more than output HTML pages; instead, it has to chaperone customized content to every individual. This is a big change from the original Internetization of media, which was, like generations of offline media before it: “If you publish it they will come.” That worked when directories like Yahoo and search engines like Google matched consumers to content. But that attitude was passive; and today’s social Web is anything but. 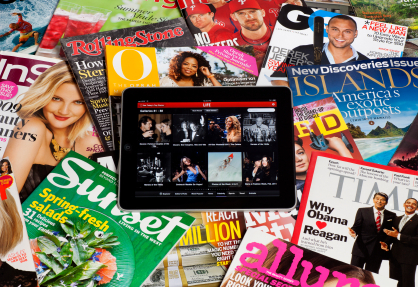 So publishers now have the opportunity – and the challenge – of taking charge of their distribution. The key is using the emerging social Web to get signals from, and connect to, the audience. And when we do this, we are putting technology in the role of relating uniquely to every consumer in order to create the ultimate experiences they crave. Now that’s a refreshing concept for media. But what does this mean, practically speaking? Use technology to determine the right content – The social Web offers a wealth of real-time data. Use it to see what matters to your constituents. Tools like Newsbeat are helpful moment by moment, and article by article. But you have to go further. The great breakthrough of digital media is being able to connect to your audience as individuals, not just in aggregate. No longer do you have to create for a persona or prototypical user; instead, you can create for real users. Media companies need to develop technologies that give them a proprietary edge when it comes to understanding the specific needs of their potential audience; that way, they can serve consumers better. And the opportunities abound. At Wetpaint, my company, for example, we process Twitter, Facebook, Google, and our own site’s data, all in real-time to know what content matters – and to whom. And yet, we can go much further, to ask and intuit feedback from each user individually. The future is a completely personalized experience from every publisher. It’s not far-fetched; in fact, it mirrors what consumers already patch together with all too much difficulty. Take control of your distribution – Reach consumers with the right content at the right time and place (via Web, mobile, video, social, and search). Don’t just have your social media team pump the same content from your Web CMS through Facebook and Twitter. Instead, use technology and research to understand the secrets of what works. Truly engaging your potential audience can improve your results by a factor of two or more. We’ve already seen this at Wetpaint, and the results are still getting better each week. Our database of everything we publish tracks all the distribution causes and effects, so we know what works. We also pay attention to who the influencers are, with technology that identifies them as well as who their influencers are; and now we’re building a “CRM”-like system to help us know more about these individuals and win them over. Package it into the right experiences – Print is static and flat; but so are too many digital media properties. That’s why I applaud The New York Times for continually looking at how to repackage into mobile apps; and that’s why I like Flipboard, which takes a data-rich, but visually cacophonic, content feed and packages it into an immersive experience. AOL’s riff of ultimate personalization has impressed me even more: they’ve recognized that every consumer should get their own Edition – nailing the concept of personalization better than any media approach before. This is the opportunity for each of us now, as we connect with audience members and try to offer them more compelling experiences in return for loyal usage. Let’s circle back to the discussion of whether you’re a media or technology company. By its very nature, digital publishing is a technical medium. But, beyond that, what makes technology interesting isn’t its ability to carry bits; it’s its ability to change businesses. And we need to change our own by updating our sense of audience, distribution, and experience creation to provide thousands of times more precision than media ever has before. When we do that, we’re making the content thousands of times more relevant. And I believe that’s how you build a thriving digital media business in the next decade.